You need to diversify chiropractic marketing to achieve practice growth. But how do you cut through the "noise" that prospects and even former patients are tuning out? How do you get their attention and how do you keep it for the long term? 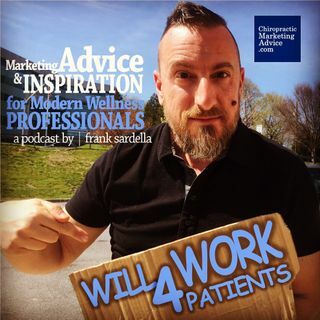 Join Frank and special guest Barry Coziahr of Response Targeted Marketing for things you definitely didn't know about email engagement of prospects and patients without fail!